All television is educational television. The question is : What is teaching? Television certainly has much to offer and without doubt is a great innovation, but when it comes to relying on it, whether to be informed or entertained, it can certainly affect people negatively. 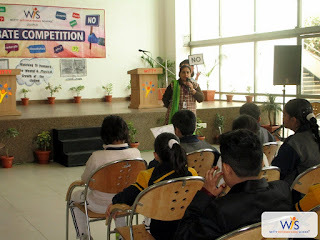 These days life does not imitate art, it imitates television. 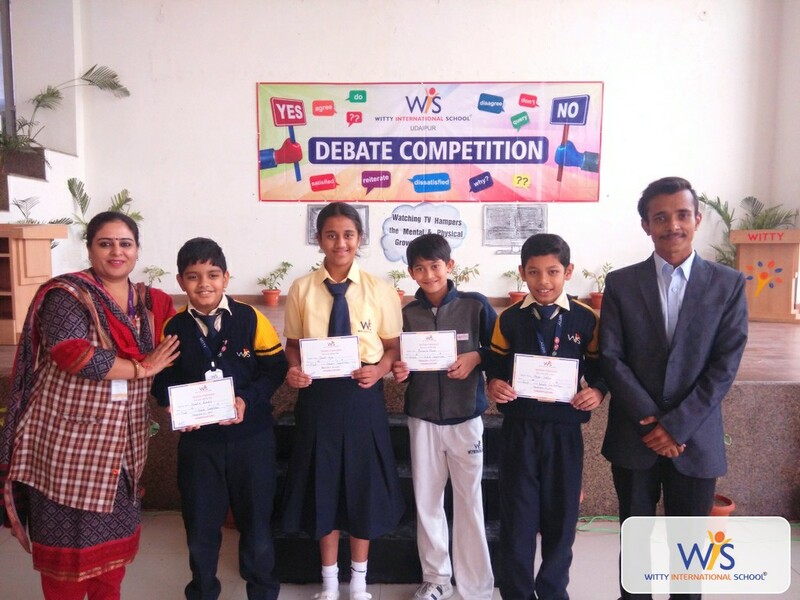 Therefore, to know what our young Wittians think about it, an intra class debate competition on the topic watching T.V hampers the mental and physical growth of students was organized in which students of Grade-V put forward their views in against or for the motion. 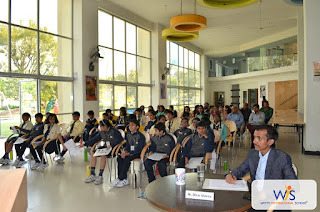 There was a huge participation of parents also in the audience. On judgment seat, we had Dhruv Sharma, Chanchal Sharma and Yesha Shukla. 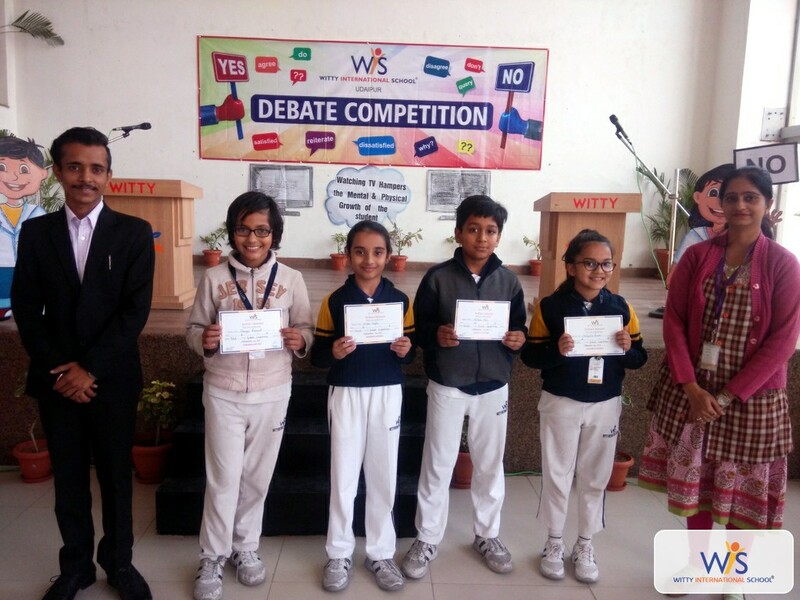 Swastik Banthia and Yaamoli Vyas (Grade-V A) stood on 1st position, Purvaansh Ranka (Grade-V A) secured 2nd Position, Kavya Lohiya (Grade-V A) secured 3rd position. 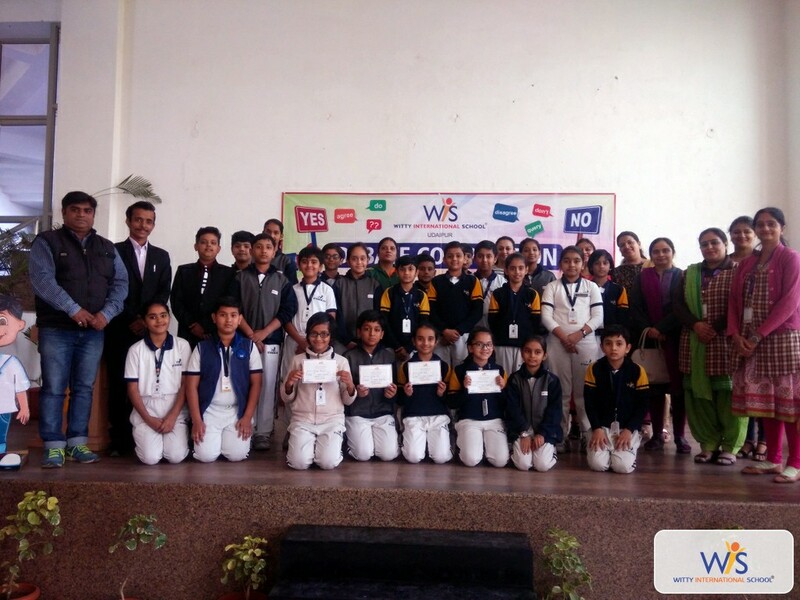 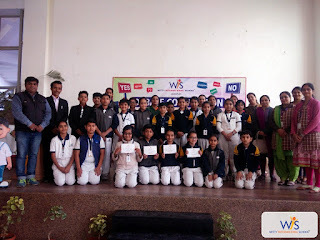 From Grade-V B Shriyadita Ranka secured 1st Position, Krishna Shah stood on 2nd Position and Shaurya Ranawat got 3rd position.